Recently, Dole approached me and asked if I was interested in sharing a recipe to support their wonderful Get Up and Grow! Together Tour and the Healthy Living Challenge. I knew this was the perfect time to share this recipe as we skirt onto cooler temps. Dole’s Get Up and Grow! Together Tour will bring healthy-living insights, recipes, free tastings and sharable fruit and vegetable experiences for kids and adults to approximately 400 supermarkets and special events in 42 cities across the U.S. Check out tour dates here to get involved. Dole’s Healthy Living Challenge asks you to recruit your friends, family or co-workers to create teams of fellow health seekers. Team leaders can recruit their friends, family, co-workers or other associates to join their team, and then track the growth of their group against others across the U.S. The winning team receives a chef-led dinner party for up to 40 guests. I love that Dole is both encouraging and challenging Americans to get out there and live a healthier lifestyle — even it’s something simple like discovering what it means to choose nutritious foods in the store. Knowledge is power! GET AFTER THOSE SWEET POTATOES! These baked breakfast sweet potatoes just so happen to be a wonderful example of a breakfast that includes both fresh fruit (banana) and a veggie (sweet potato). Hope you enjoy these breakfast baked sweet potatoes! 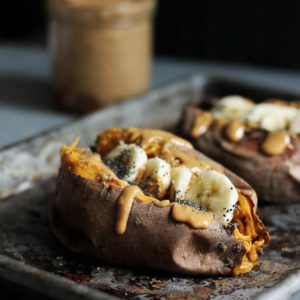 They’re an excellent way to use up extra sweet potatoes you might have and can be topped with any nut butter you have available. And if you’re feeling adventurous, try them with a little coconut whipped cream for dessert. If you make this recipe, be sure to tag #ambitiouskitchen on Instagram so I can see your creation! xo. 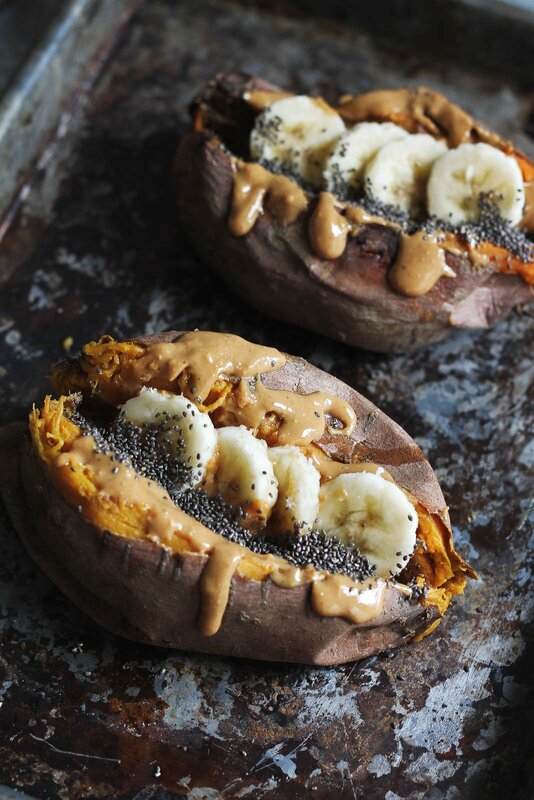 Breakfast baked sweet potatoes stuffed with creamy almond butter, banana slices, chia seeds & a sprinkle of cinnamon! 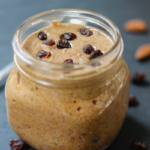 An easy to make paleo breakfast that tastes like dessert! Preheat oven to 375 degrees F. Line a medium baking sheet with parchment paper or foil. Use a fork to poke several holes in the sweet potatoes, then place on prepared baking sheet and roast sweet potatoes for 45 minutes-1 hour or until fork tender. Remove from oven and allow to cool for 5-10 minutes. Once ready to eat, split the warm sweet potatoes open with a knife and sprinkle with a tiny bit of sea salt. 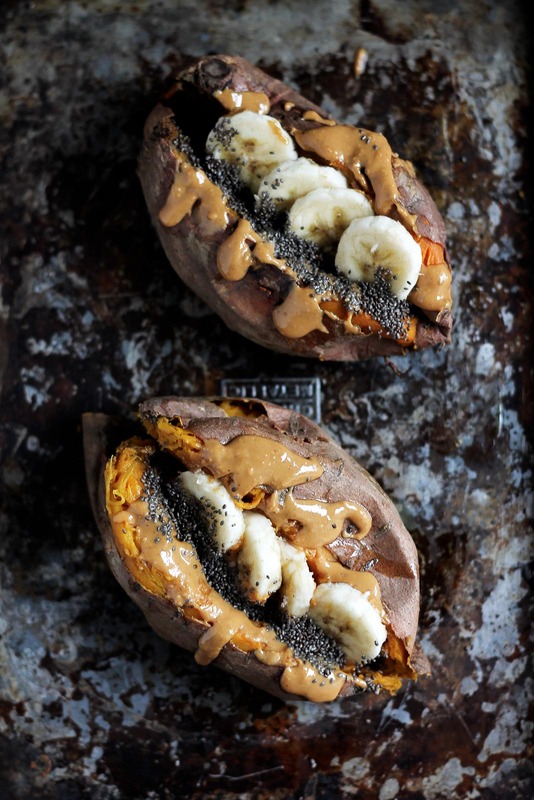 Next drizzle 1 tablespoon of almond butter, 1 teaspoon of chia along with banana slices and finally a sprinkle of cinnamon in each sweet potato. Serve immediately. For more protein (and if you aren't paleo/vegan): Add 1/2 cup of greek yogurt on top of the potatoes! This post is in partnership with Dole fresh fruits and vegetables. I’m honored to support a company that encourages a healthy lifestyle. Thanks for supporting AK & the brands that help make this site possible! 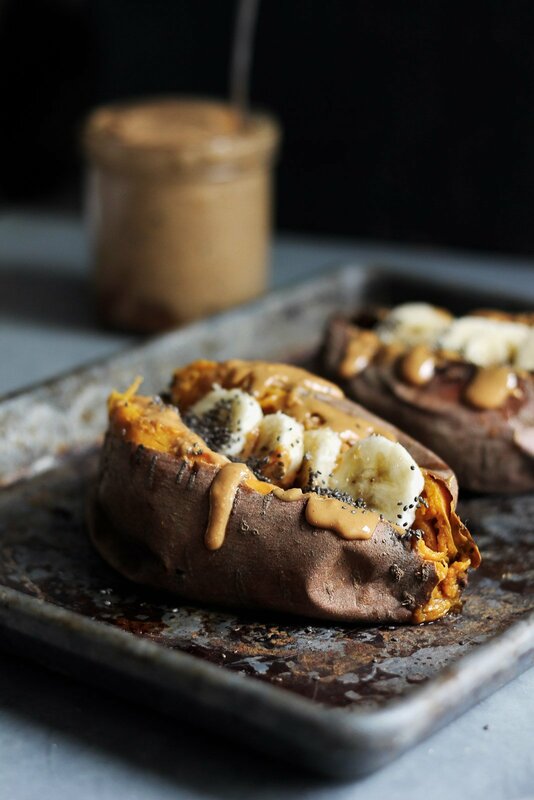 83 Responses to "Breakfast Baked Sweet Potatoes with Almond Butter, Banana & Chia"
Yes yes sweet potatoes with almond butter are the best breakfast! I also loving adding in some dark chocolate chunks! 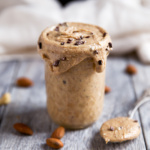 Do you make your own almond better? Cool, I never would have thought of this combo but it looks delicious! How have I not thought to do this?! Oh my yum!! Stuffed sweet potatoes for breakfast? I am IN! Loving this idea! you sold me as soon as you mentioned sweet potato pie (; i normally just steam and mash my sweet potatoes with a little bit of butter and brown sugar, and top with toasted walnuts, but i’ll have to try this one out! Sweet potatoes and almond butter are a match made in heaven. Love this idea for kicking off the day! 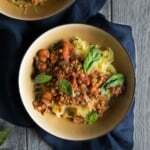 This sounds delicious, and I would not have thought of sweet potatoes for breakfast but this sounds filling healthy and delicious!! Um, holy delicious. Why in the heck I’ve never thought to try this for breakfast it beyond me, but I’m SO glad you did! This looks awesome! Oh my gosh, this looks absolutely incredible!! 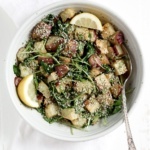 Making this tomorrow morning for breakfast, and I’m already dreaming about it!! and so different! i’m a HUGE sweet potato, almond butter, and banana person. putting all three together = YES! How has nobody thought of this before?! Looks absolutely amazing!! This looks amazing and delicious. I only have a small toaster oven though, do you think that will work for roasting sweet potato? I’m honestly not sure — I’ve never tried a toaster oven. You could also microwave the sweet potatoes if that’s available to you! I never would have thought of having bananas with sweet potatoes. But I’m definitely going to try now! Sweet potatoes are my EVERYTHING! Having them for breakfast is practically something I do almost every day! Sweet Potatoes are my fave! I love this idea! I’m legit obsessed with having sweet potatoes for breakfast. I make mine in the microwave (cuz waiting for the oven is not an option when in hungry ?) and I stuff it with yogurt, fruits & nuts. So good ??? That sounds amazing. 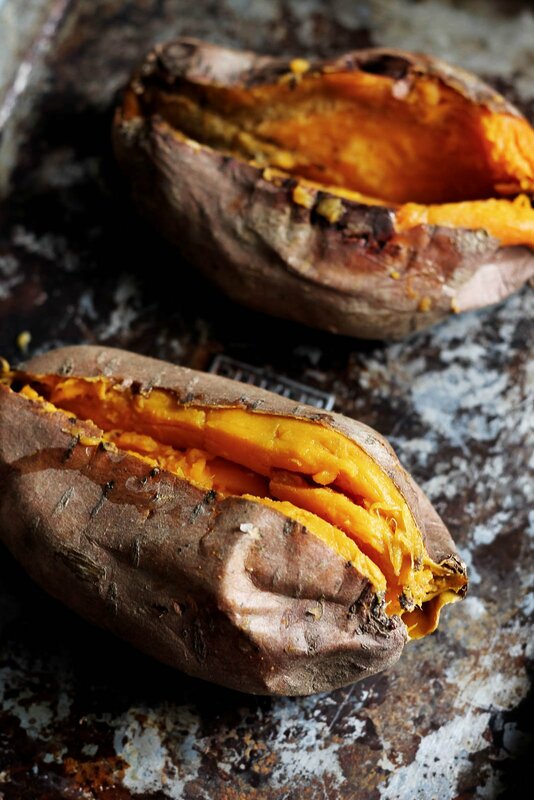 Sweet potatoes are full of Vitamin A and fiber — that’s why I love them! 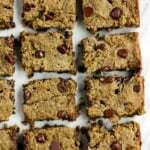 Monique these look absolutely delicious, and love it for a sweet Whole30 breakfast idea – perfect! Life changer! Absolutely amazing. Made this morning without the bananas but definitely keeping in my rotation. Wow! Thank you!! I found it interesting that you emphasize “Dole” as a name brand. If you are advertising for them think twice. First of all, it was a real turn off seeing that and it makes me not particularly want to see anything else that you have to offer. Secondly, Dole has been accused of environmental destruction and is currently in litigation over it and they have not been honest about the wages they pay the workers in foreign countries. your response seem a little aggressive and uncalled for. if you want to spread your knowledge don’t go about it so rude. I would have to disagree. Monique left the door open when she chose to sell DOLE products. Maria is saying that her interests and Monique’s don’t align and she is letting her know. There is a cost when you accept money from a sponsor and Maria is suggesting that Monique consider that if she hasn’t . I don’t find it rude in the least. I am always suspicious when the comments talk about how the food LOOKS instead of how it TASTED. Having everything on hand, I tried it anyway. This is DELICIOUS! And it looks pretty, too. Followed the recipe, didn’t use the optional yogurt. It tastes like these foods were made for each other. I highly recommend it. Thank you! This sounds great! I have one question, though; do you think it would taste as good if you baked the sweet potato the day before and reheated it? I don’t know if I can wait that long in the morning for the sweet potato to bake! I’m going to try this using the timed bake setting on my oven, that way it should be ready when I get up in the morning! wow wow, its looks yummy. I never had any clue that you can make a mouth watering receipt from sweet potatp. I could not wait to eat one like this. Wish I were near your home to taste all the items you make. You are so great. wow wow, its looks yummy. I never had any clue that you can make a mouth watering receipt from sweet potatp. I could not wait to eat one like this. Wish I were near your home to taste all the items you make. I will try at home and taste it. You are so great. I will try at home and share with my family. Made these this morning for the first time. For a girl that is always hungry, this is definitely going to keep me full for hours. I have trouble eating eggs early in the morning so I am always looking for easy breakfasts for during the week. I have two more potatoes baked at home to last me the rest of the week. Seriously, these are delicious and filling! So glad you enjoyed these! And YES I can definitely attest to feeling hungry between breakfast and lunch, and this is one of my go-to’s for a healthy, filling breakfast. Ok I could have sworn you said to use coconut butter on these!! 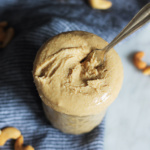 Just looked back at your post and I guess not, but I’ve been making them with both cashew butter (instead of almond—it’s what I had on hand) and coconut butter, and it’s AMAZING. Happy accident, I guess! 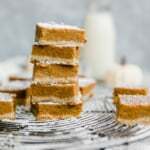 The coconut butter melts into this creamy sorta-frosting and makes me ALMOST not miss marshmallows on my sweet potatoes. I never comment on recipes but this was amazing and deserved a comment! I used sugar free syrup on top since I have to watch my sugar intake and it was just amaze balls! I could eat this everyday forever! So happy to hear that, Susie! Love this fall breakfast. Always been more of a sweet potato kind of guy, cause yams are to sweet. But these yams look awesome! Just put them on the grocery list. Gonna have to make these for the boys and I! this sweet potato recipe was really good. I had for breakfast one day, then for dinner a couple days later. Very yummy! Will make again. Just made this as a whole30 snack! So delicious! added a sprinkle of cinnamon! Thanks for yet another great recipe!